Seems like it is the big question these days in some Southern California communities. If you haven’t read it a hundred times already – We are in a drought! So making everything more understandable, let’s imagine that your home is allocated 1000 gallons of water a day. It is just a number and not the actual amount but a place to start. Seems like a lot of water. I guess it depends on how many people you have, do you have animals, a big yard ect. What to do you with your 1000 gallons of water a day will depend solely on you and your priorities. Of course everyone gets a shower.. but make it short. The animals and people need enough water to drink. I guess it is the big yard people that the drought may affect the most. I have read the intention of the lawmakers is “No lawns , no garden no landscape” If you decide to go that route what you are left with is pretty sad. Not to mention surrounding fauna will be in worse shape than they are already. In many parts of the United States the bees are disappearing at an alarming rate. Hello, no bees equates to no food. That is serious. From our point of view in the pond and water garden community it is perfectly fine to forgo the lawn, veggie garden in the raised bed, and the landscape can go too. 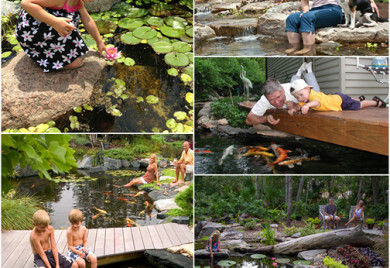 But now more than ever is the best time to make a pond part of your lifestyle. And here is why. Do you know that the average pond uses less than the amount of water you would use to flash your toilet ten times in a month? It recycles the same water over and over again. Not like your garden and your lawn which just goes in the ground, never to be seen again. A pond can be so important in the current situation especially in a time of drought. From a practical standpoint, you have a body of water at your disposal in case of emergency or fire. You have a centerpiece to enjoy with your family. A place for morning coffee or a glass of wine in the evening to relieve the stress of the day. You can teach your children about how things grow by watching the dragonflies, hummingbirds, fish and other critters. You actually can have your veggie garden in line with your pond as a filter so the same water that is recycling through your pond will also water your victory garden at the same time, automatically. 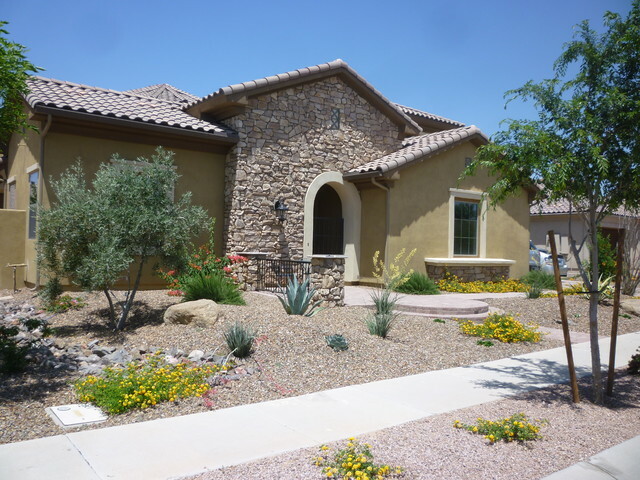 If more simple is what you are after, than think about installing a pondless water fall. A pondless waterfall is part of a new trend of ponds that has a waterfall with all the wonderful sounds and looks of a normal beautiful pond but not the big body of water exposed. So less water to fill initially, less maintenance, much safer if you are worried about children falling in. Ponds can be as easy or as hard as you want to make them. A pond liner, efficient pond pump, some rocks and away your go. You can install them yourself or have a trained and licensed professional pond contractor do it for you. How you use that 1000 gallons is up to you. Pond or Lawn, which makes more sense to you now? 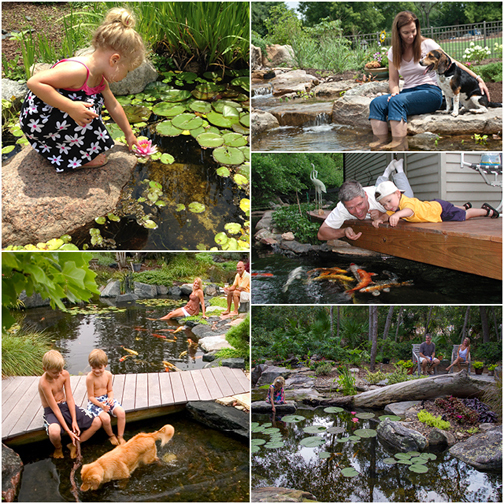 Pond Talk: Pond or Lawn? If I can’t use any water what do I do with my yard?